Is AtlanTech Tower Now Being Repped By ComReal? If there’s one thing that hasn’t changed in the commercial real estate world, it’s rumors. 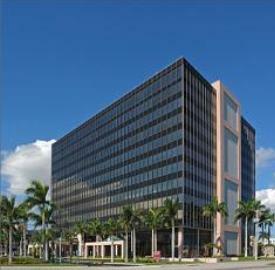 Rumor has it that AtlanTech Tower, located at 6451 N. Federal Highway in North Lauderdale has changed hands, and is now being represented by ComReal. Alice Lucia, Sandra Andersen and Peter Sheridan of Jones Lang LaSalle have been leading the leasing efforts for the 12-story, 413,426 office property. It is currently approximately 70% occupied. New Boston Fund acquired the property in early 2008 for a reported $63 million.